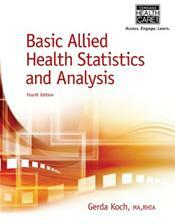 Abstract: BASIC ALLIED HEALTH STATISTICS AND ANALYSIS, 4th Edition is the comprehensive resource for future health care professionals in a variety of Health Information Management careers. 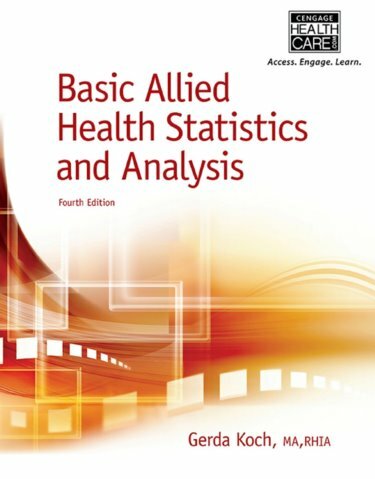 Designed to explain common statistical computations and their practical uses in health care settings, the book's hands-on approach requires students to think through problems and then apply the proper method of statistical analysis. Topics explore the current health care industry, basic math and statistical computations, vital statistics and mortality rates, census and occupancy rates, and more, all in accordance with CAHIIM curriculum standards and competencies. Chapter learning features include examples, tables and figures, and even a separate column for note-taking, along with a brand new chapter on the fundamentals of research. Plenty of case studies and self-assessment opportunities keep students engaged in the material, while ensuring a practical and discerning knowledge of key data and statistical concepts.